The Green Phone Booth: Get Outside and Play! The Climate Crusader is resolving to play outside more. The Summer Solstice is happening in just a few days on June 21, 2013. 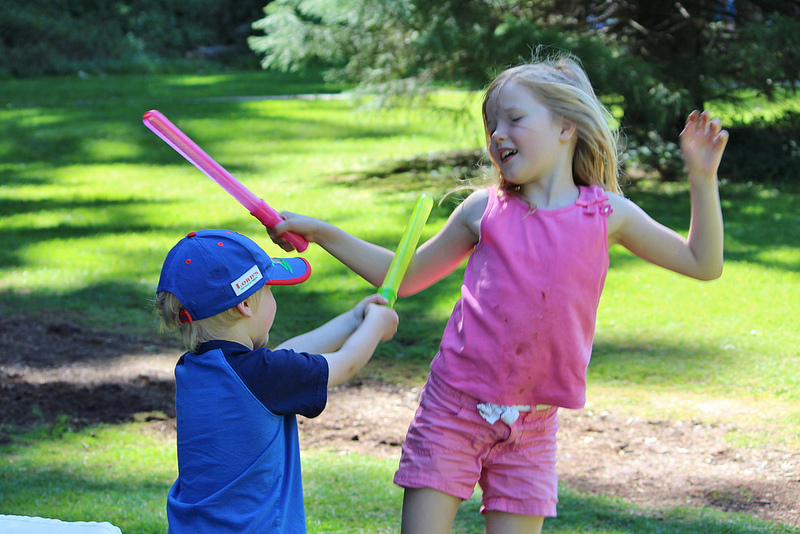 Here in Canada ParticipACTION - an organization dedicated to encouraging Canadians to get moving - is proposing that we celebrate it as the Longest Day of Play. The idea is that we can mark the solstice, which is often called the longest day of the year, by playing. In my last post, I talked about the steps I'm taking to raise environmentally-conscious children. One of the big ones is spending more time outside. Fellow Green Phone Booth contributors Green Bean and Eco-novice weighed in, saying that they do the same thing. The idea is that the more time we spend outside with our kids, the stronger their connection to nature, and the more that they'll want to protect it. With more hours of daylight at this time of year than any other, and with the arrival of summer, this is the perfect time to get outside and play. The benefits don't just come from building our connection with nature, either. The more time you're spending outside moving under your own steam, the less time you're spending doing things like driving around in your car, using electronic devices, shopping and so on. Not only is this better for your health, it can also reduce your environmental footprint by switching from carbon-producing activities to carbon-neutral activities. Let me pause here for a confession: I'm trying to get better at spending more time outside with my kids, but that doesn't mean I'm always good at it. It's often easier to plunk them down in front of the TV while I get some work done than it is to head out into nature. But at this time of year we can head to the park after dinner or even just go out into our backyard to pick some carrots and raspberries and play in the evening. In February, when it gets dark early and the weather's cold, this isn't possible in the same way. So I'm trying to take advantage of the season and set the habit of getting outside as much as I can while the weather (and daylight) cooperates. Why don't you consider making June 21 your Longest Day of Play, as well? It's a way to get your summer off to an active start, build your connection to nature, and embrace some fun that's easy on the planet. You don't have to have kids to get outside and play, either. Anyone can take a walk, go for a bike ride or explore a nature trail. You may be an adult - but you can still have fun! I love this, "the longest day of play"! I just hope the rain stops for us here on the coast. I have a backyard fire planned for the evening to watch the sun go down. We may have to reschedule to the next sunny day.